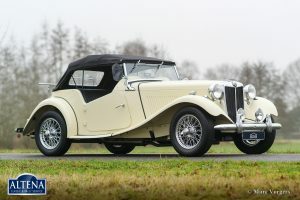 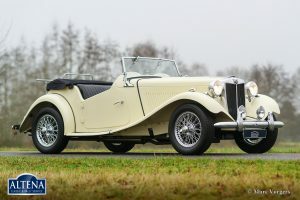 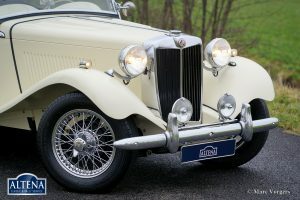 MG TD, year 1953. 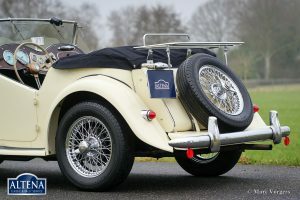 Chassis number TD 22381X. 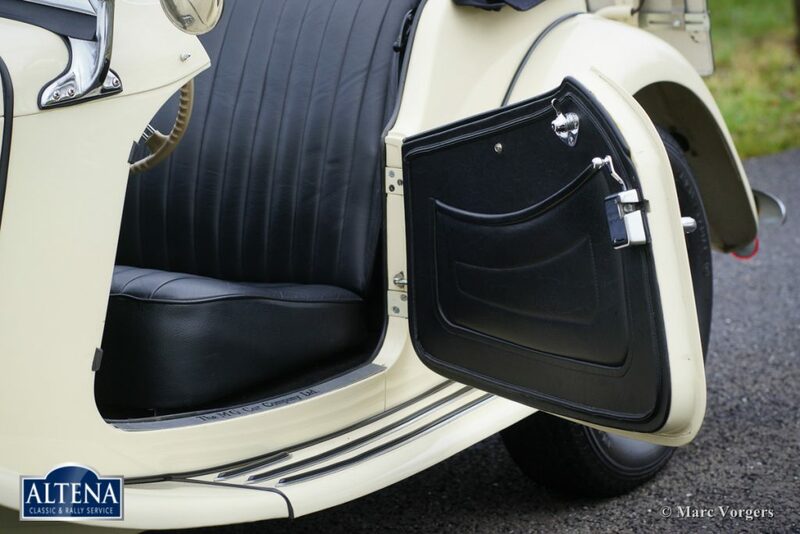 Colour crème white (Old English White) with a black leather interior and black carpet. 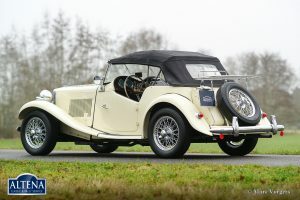 Black mohair soft-top and tonneau cover. 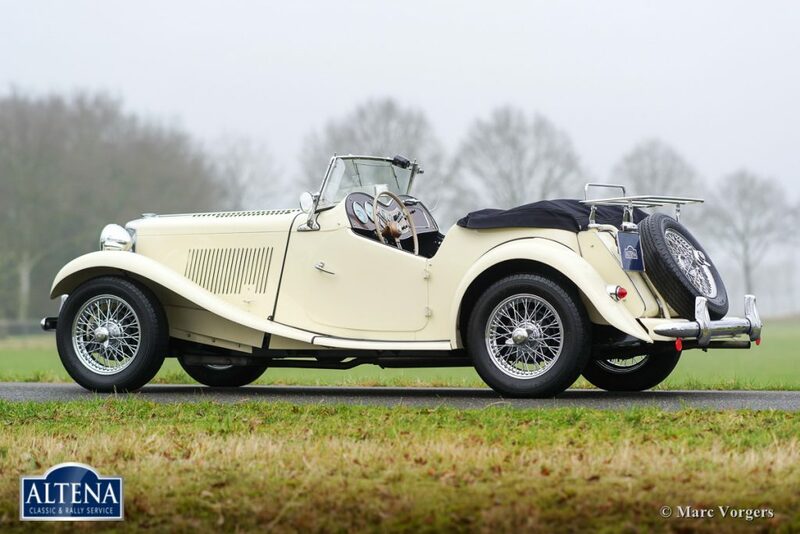 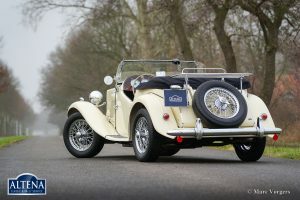 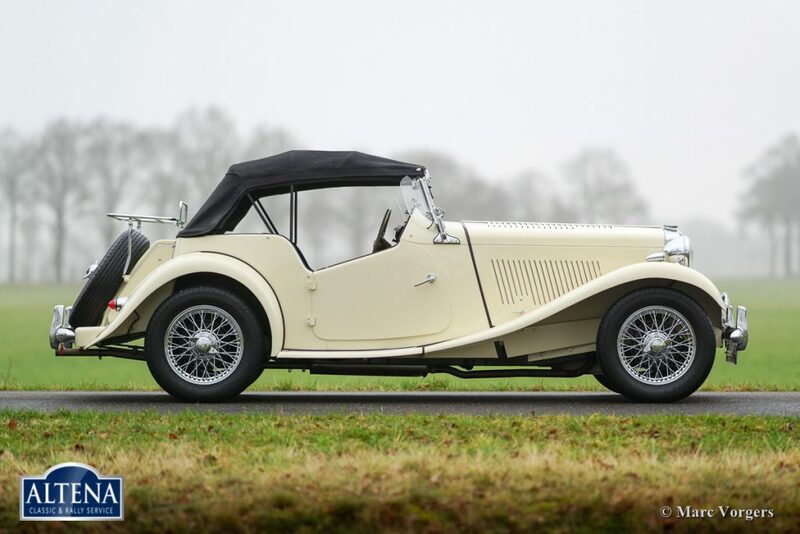 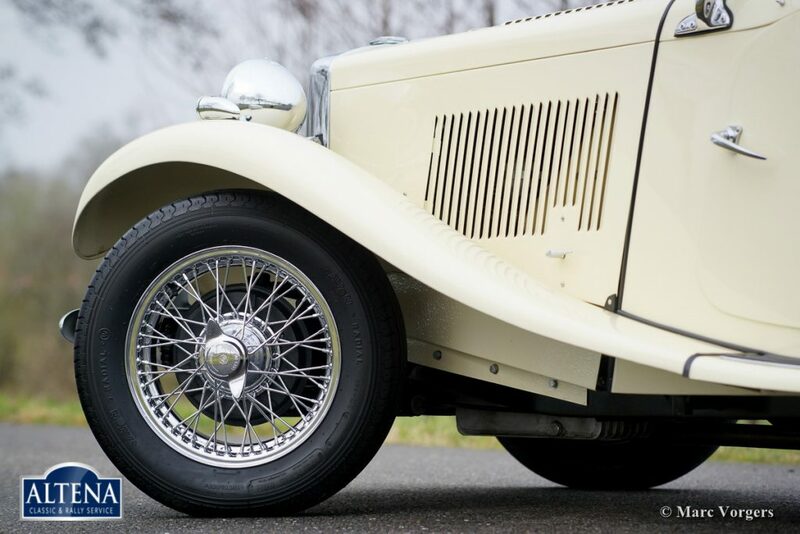 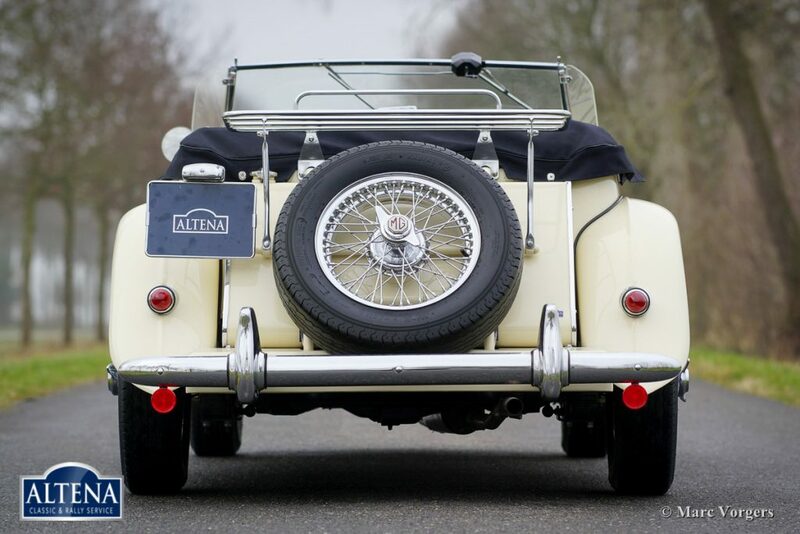 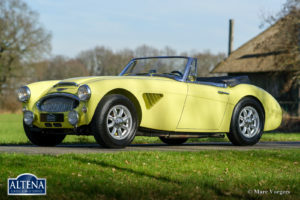 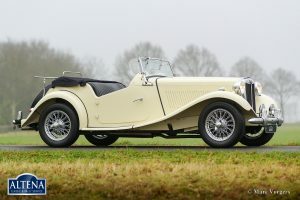 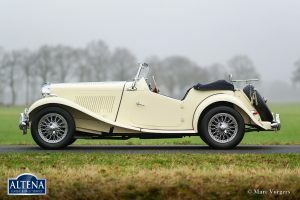 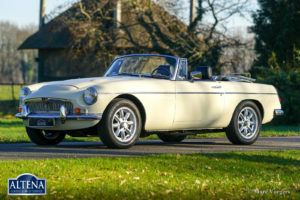 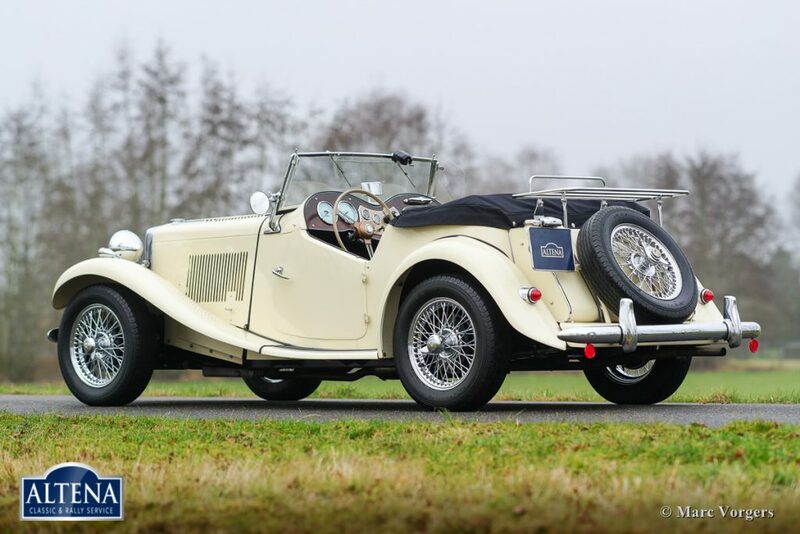 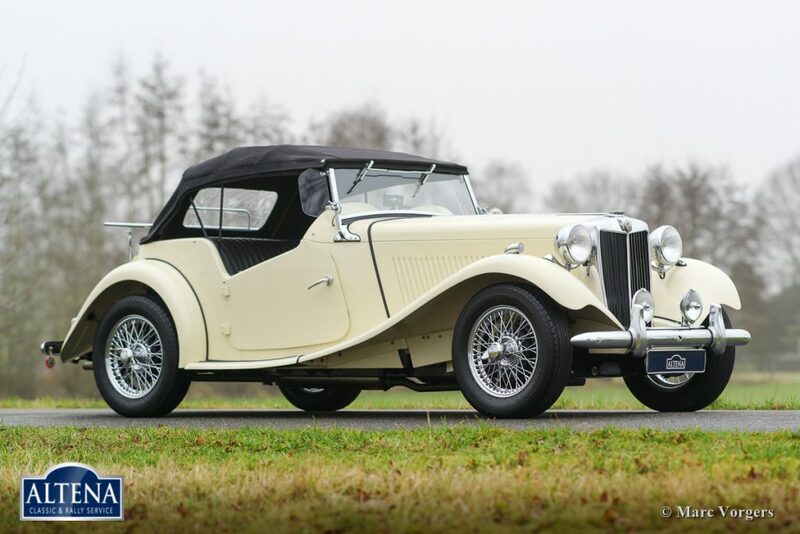 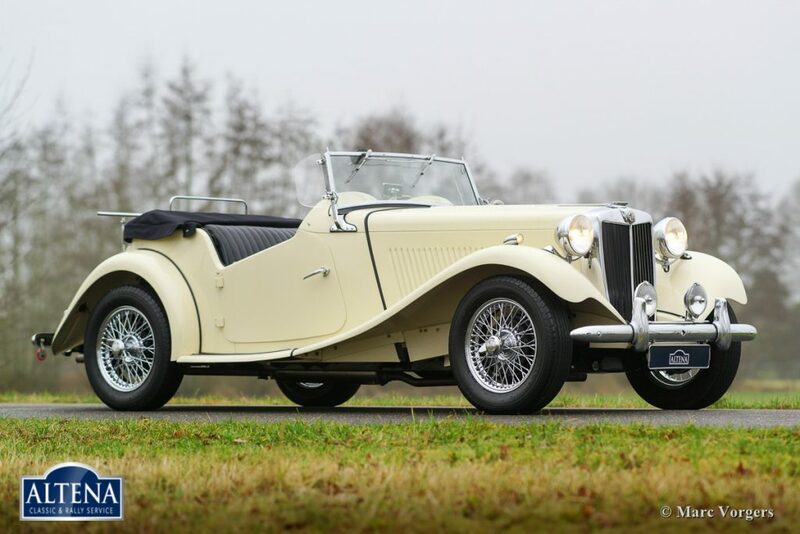 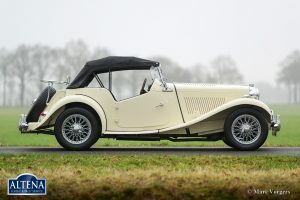 This beautiful MG TD was imported from California, USA, in the year 2005. 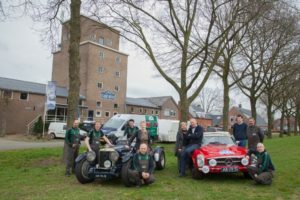 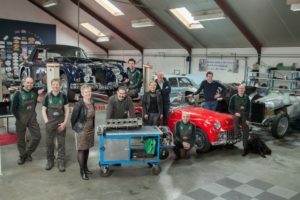 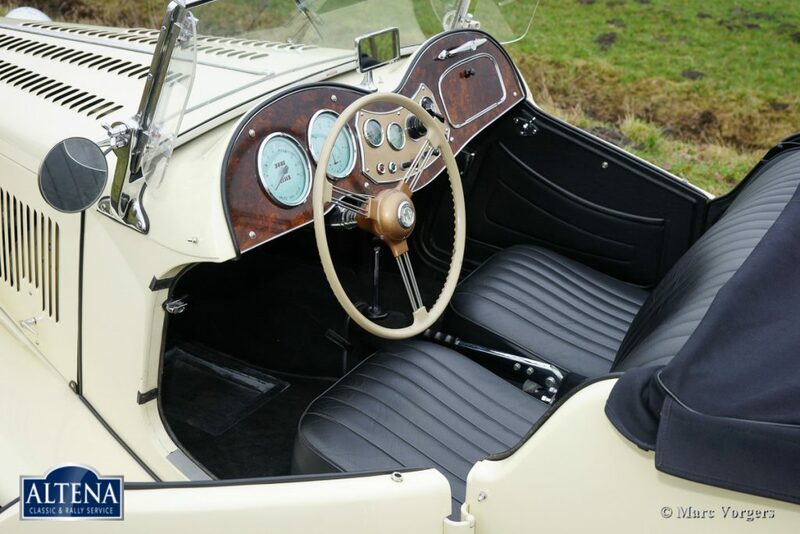 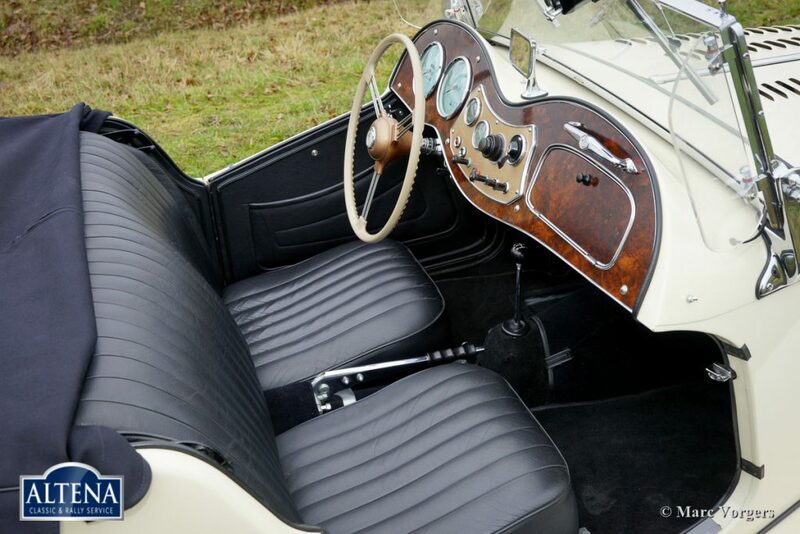 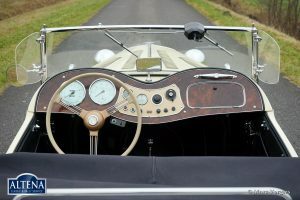 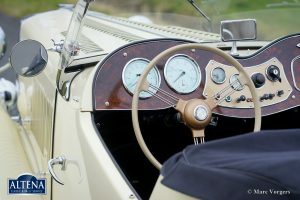 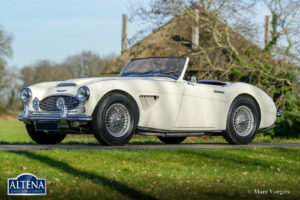 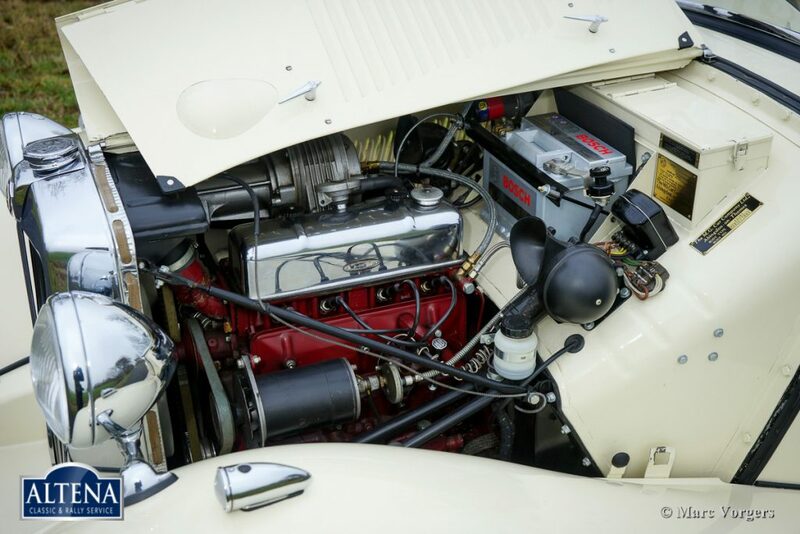 In the year 2011 the automobile was extensively and perfectly restored; the car is in superb condition! 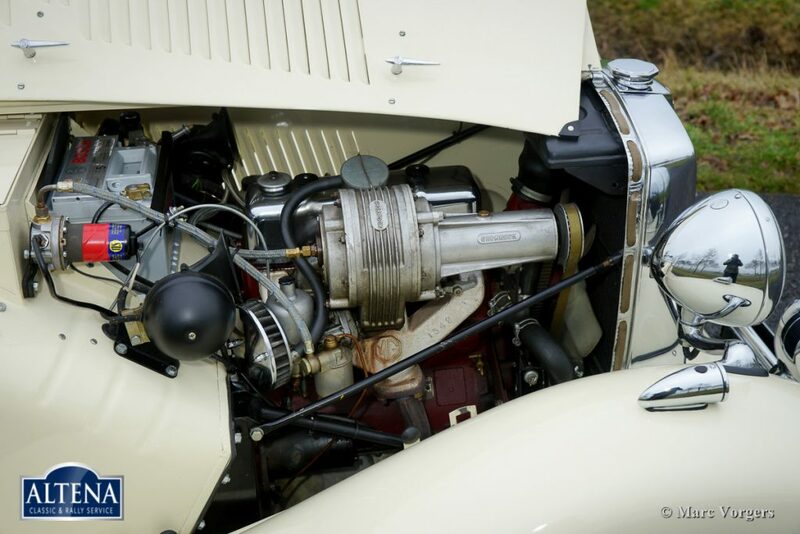 Very special is the presence of a Shorrock compressor (also named ‘blower’). The blower adds an additional boost of power to the engine. 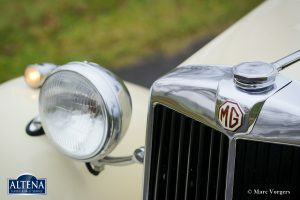 Otherwise, everything has been restored to factory original standards. The car features chrome wire wheels. 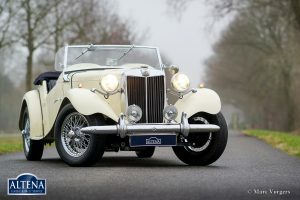 This is a superb example and an excellent driver.